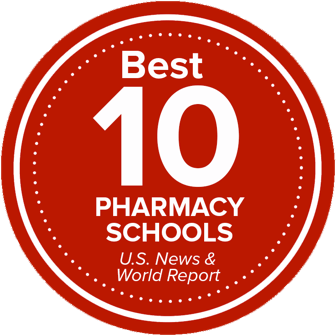 The Ohio State University College of Pharmacy is ranked sixth in the nation according to U.S. News and World Report. Our undergraduate programs are flexible in design and give students unique training to pursue careers in a variety of health science fields. The Doctor of Pharmacy (PharmD) program develops exemplary patient care providers who serve as the responsible medication experts in the healthcare delivery system. We offer a variety of graduate programs including: PhD in Pharmaceutical Sciences, MS in Pharmaceutical Sciences with a specialization in Health-System Pharmacy Administration, or a residency. EAP is for prospective first-year students interested in becoming licensed pharmacists. Acceptance to the program guarantees admission to the PharmD program. Ohio State has two completely online pharmacy-related degrees. Advance your education from anywhere in the country. We offer online and in-person training to help meet the diverse needs of today’s practicing pharmacists. Become part of a top-ranked pharmacy school that is transforming patient care. We prepare our students with the breadth and depth of knowledge they need to take on the world's most complex health care issues. Located right across the street from one of America's best hospitals and connected with six other health science colleges, our students can grow professionally by exploring passions outside of pharmacy and networking with unparalleled medical professionals. Our students have access to resources that could only be available at a large university, like state-of-the-art laboratories and experiential learning at top pharmacy companies. And even though it might feel like a big place, when you join the Buckeye family, you become a part of a tight-knit community that goes wherever you do. Our college is home to world-renowned researchers who are leading their fields of study. We are improving the lives of patients through local and global community engagement. Join a profession that empowers people across the globe to live healthier, better lives. Combining science, health care, technology, business, math and communication, when you choose pharmacy as your career, you become an essential part of the health care team. Pharmacists improve patient well-being by providing services like medication therapy management, immunizations and much more. The profession is diverse, providing opportunities to work in a variety of settings. Pharmacists work directly with patients in the community, ambulatory care settings, hospitals, long-term care facilities, mail order pharmacy centers, managed care organizations and many more. Some become pharmaceutical scientists, pursuing careers with government agencies, academia or in corporate environments. Whatever your passion is, the profession of pharmacy has a path for you.